Vouni Lodge - Stone house in Vouni village near Limassol, Cyprus - pet friendly. 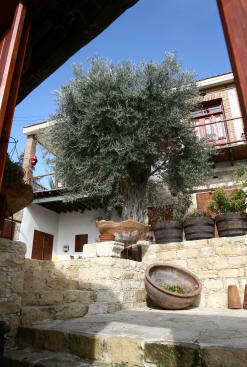 Vouni Lodge is a two storey stone house that was built more than two hundred years ago. It has been recently restored to its original splendour. 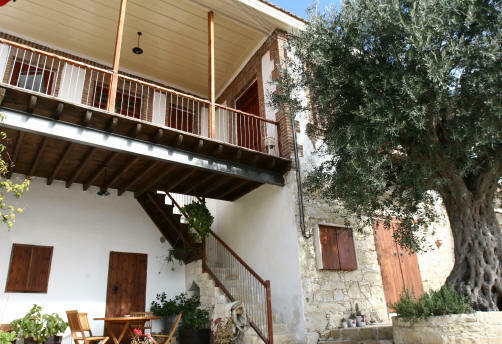 Situated in the picturesque village of Vouni in the Limassol district, The Vouni Lodge has three separate one bedroom apartments named Angelica, Vasilika and Helena. Located in the foothills of the Troodos mountains the lodge is only a thirty minute drive from the seaside town of Limassol, so it is ideally located for both the country and beach lovers. 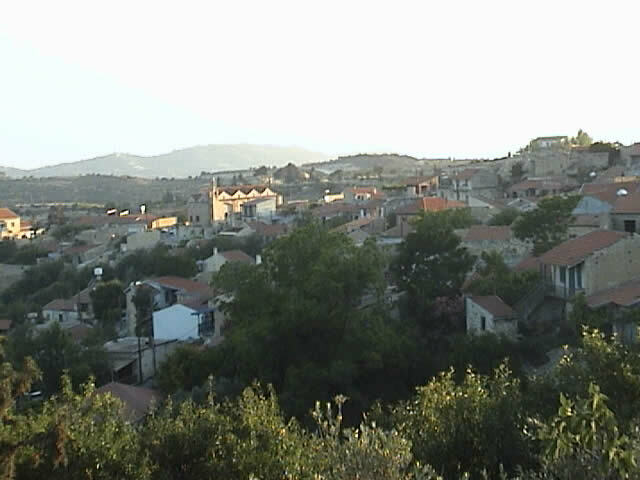 Vouni is one of the oldest wine growing villages in Cyprus, renowned for its quality vineyards, guests have the opportunity to try the local wines. 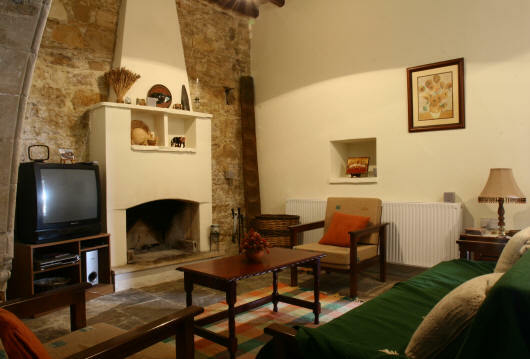 There is a large stone courtyard and the top apartments offer lovely views. 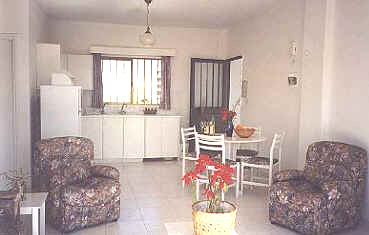 SLEEPS:2/12 The house consists of three separate one bedroom apartments that can accommodate up to four persons per apartment. Each apartment has a family bathroom with shower. 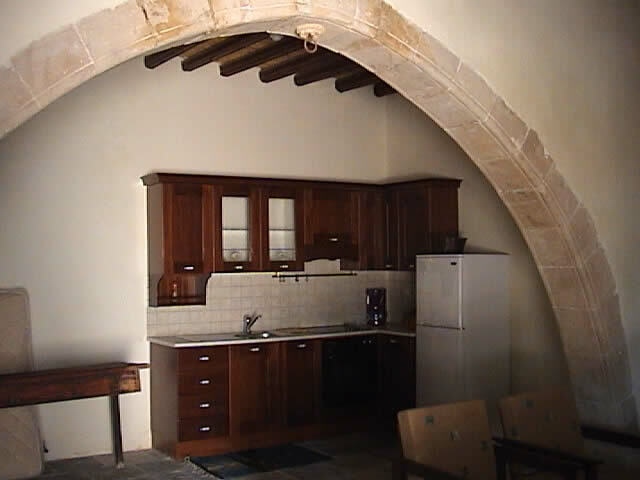 FACILITIES: The apartments each have a large sitting area, fully equipped kitchenette, dining area with table and chairs and one double bedroom. 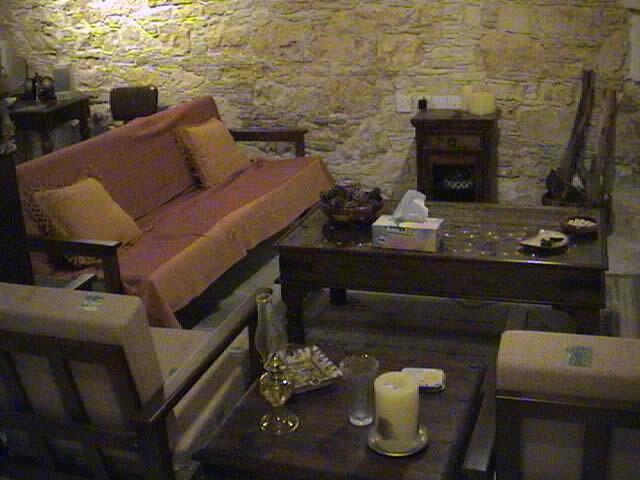 The apartments have central heating as well as a fire place, so ideal for winter breaks as well as your summer holiday. 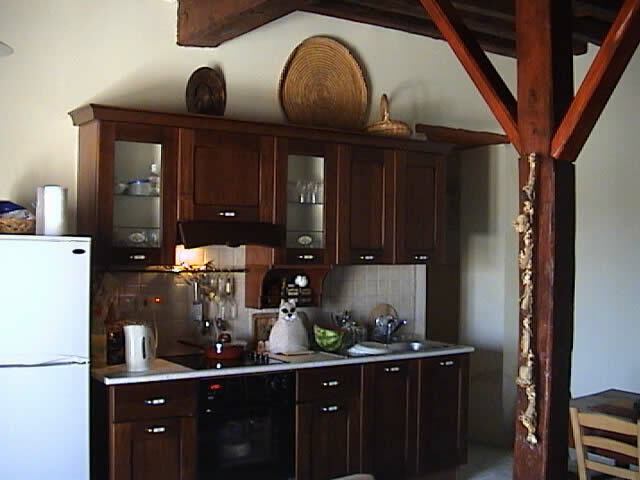 Vouni lodge is a pet friendly property. DISTANCES Within the village there are local taverns, coffee shops, an art gallery. A walk in the narrow winding streets of the village is a must to admire the local architecture. 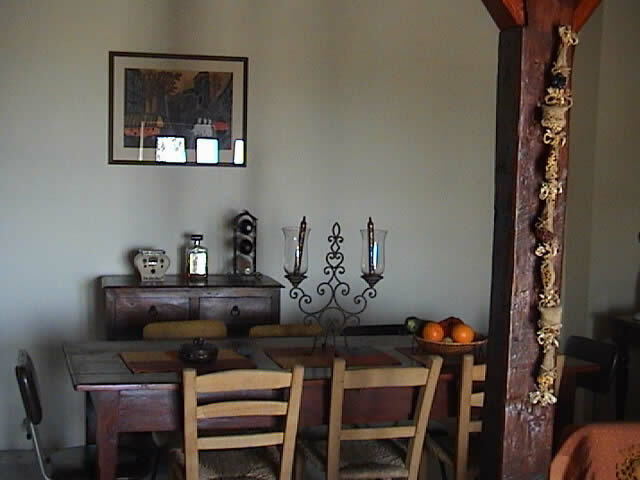 Extra Beds - up to 2 in each apartment at EUR15.00 each per night. All linen is supplied; bath towels only supplied for weekly stays. 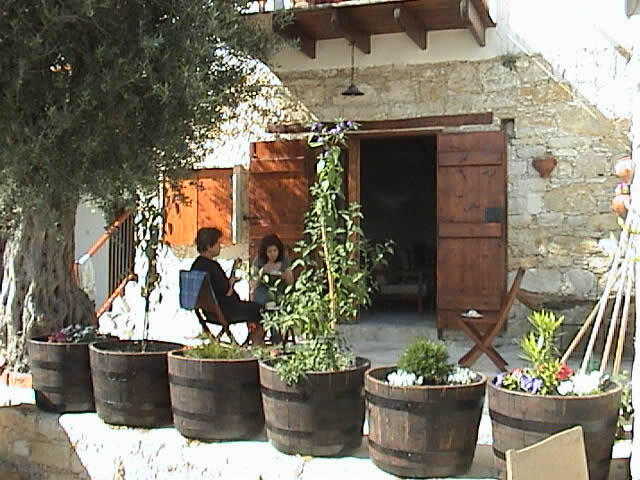 Firewood is optional at EUR 12.00 per night.